When the average computer user hears about Ubuntu or Linux, the word “difficult” comes to mind. This is understandable: learning a new operating system is never without its challenges, and in many ways Ubuntu is far from perfect. I’d like to say that using Ubuntu is actually easier and better than using Windows. This doesn’t mean you’ll experience it that way if you’ve used Windows for a long time: at a certain your habits begin to feel like conventional wisdom, and any system that doesn’t match your current habits will seem difficult. If you’re a MakeUseOf reader, however, you’re undoubtedly a fan of free software. Most of the very best free software is open source. 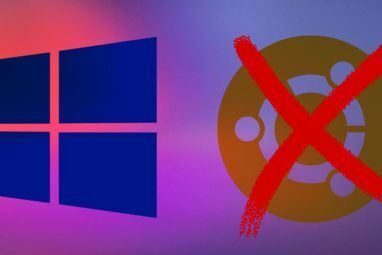 If you’re a Windows user who primarily uses free software, Ubuntu’s going to feel more comfortable to you than Windows once you get used to it. And once you do get used to it, you’ll realize that in some ways Ubuntu is simply better than Windows in terms of ease of use. There’s a misconception out there that installing software on Ubuntu, or any Linux platform, requires a PhD in Computer Science. Nothing could be further than the truth; in fact, I’d argue installing software on Ubuntu is a great deal easier than installing software on Windows. Let’s examine the typical installation scenario for Windows users. Pretend there’s a person named Sally, and that Sally wants to install VLC Media Player. Sally Googles the name of the program, finds a webpage related to it, browses that page until she finds a download for Windows before finally downloading an executable file. Assuming Sally is pretty tech-savvy, she verifies that the site she downloaded from is a proper place; if not, it could come from anywhere and be infected with any number of spyware, trojans and/or AOL toolbars. Once the file has finished downloading, Sally double-clicks the executable she just downloaded, tells Windows it’s okay to install the program, then follows the series of prompts and clicks “next” several times. Now let’s pretend Sally is an Ubuntu user. To install VLC, all she needs to do is click “Applications,” then “Ubuntu Software Center” then search for “VLC“, double-click VLC and click the “Install” button at the bottom of the description. She’ll enter her password and then Ubuntu will download and install VLC for you, letting Sally know when it’s done. Best of all: because the software is all coming from one place, and not some random website, you know with complete certainty that the file doesn’t include any spyware or trojans. In my opinion, Ubuntu’s method of installing software is far simpler than Windows when compared side by side. The main reason people new to Ubuntu have trouble installing software is because they try to apply the Windows method to Ubuntu, searching the web for programs to download instead of consulting the Ubuntu Software Center first. 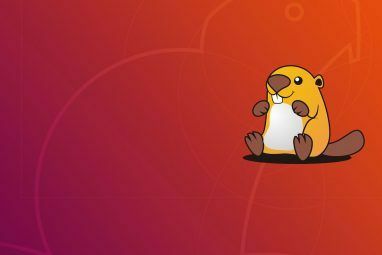 Packages found online could indeed be very hard to install, but considering the Ubuntu Software Center gives you access to thousands of programs there’s very little reason to ever bother with it. When I first install a computer, there are certain things I want installed right away: codecs for all my music and movies, Flash for my web browser, Java, and something capable of opening RAR files. On Windows, ensuring I have all of these things means going through the process above for all software mentioned individually. On Ubuntu, all I need to do is install a single package: Ubuntu Restricted Extras. To install Ubuntu Restricted Extras I simply open up the Ubuntu Software Center, search for “Restricted” and find the package. Click the install button, and with that simple step my computer is pretty much ready to go. It should be added that on Windows systems I usually have to install a PDF Reader and a photo editor before I can really use the system, but Ubuntu comes with a PDF called Evince Reader and a photo editor called The Gimp by default. This point is perhaps less relevant for users of Windows 7, which offers pretty good driver management through Windows Update, but it needs to be said that managing drivers on Ubuntu is a breeze. Since Ubuntu is upgraded every 6 months, if you use the latest version you probably won’t need to install a single driver to use your computer. If you do, it will be because the drivers you need are proprietary and as such cannot be included with Ubuntu for legal reasons. Don’t worry, though: Ubuntu comes with a built-in program for downloading such proprietary drivers for your system. The first time your computer boots Ubuntu, it will inform you of any drivers you need, and install them for you with the click of a button. I fix Windows PCs professionally, and wish XP had a similar feature. If my client has his or her driver CD it’s not too bad, but if not I’ve little recourse but to download the drivers the annoying Windows way, as described in the “Installing Software” section. While we’re talking about installing software on Windows compared to Ubuntu I’d be remiss if I didn’t point out my Windows pet peeve. When I install a program on Windows, it is added to the Start Menu. Where is the program added? In a folder named for the company that made the software. Only five sub-menus, and all with a certain logic to them. To be fair, the Start menu in Vista/Windows 7 is a little better than this in that I can search for a program. This means I can avoid ever looking at the terrible menu ever again. But this seems more like working around the issue instead of repairing it. Changing your color scheme on Windows is easy, but if you want to customize beyond changing the palette some work is in order. I use a custom theme on my Windows XP system, but installing it was anything but easy. I needed to hack a certain DLL to achieve this, something I should probably highlight in a future tutorial. I’ll never need to write a tutorial explaining how to do this on Ubuntu, however, because it’s dead simple. Just click “System,” then “Preferences,” then “Appearance.” You’ll be shown a number of quality themes, and switching to any one is as easy as clicking it. If these themes aren’t enough for you, head over to Gnome-Look and find something that suits you. Installing the theme is as simple as dragging the downloaded package to your “Appearance“ window. I should make a confession here: I’ve never attempted to do this in Windows 7. By the looks of Karl’s article about the top 5 Windows 7 Top 5 Windows 7 Themes You Might Want To Try Top 5 Windows 7 Themes You Might Want To Try Read More themes, customization is now Ubuntu-like in Windows 7. Good to hear! When it comes to updates, Windows is a jungle. Adobe, Apple, Google and many more companies will all install their own update managers to your computer, most of which will bother you every time you boot your computer asking you to update various products. On Ubuntu, there is only one update manager. This means keeping all your software up to date is simple, and that you don’t have 30,000 programs bothering you every time you boot your machine. Recently I wrote an article about sharing your wireless connection in Ubuntu. How To Easily Share Your Wireless Connection in Ubuntu 9.10 How To Easily Share Your Wireless Connection in Ubuntu 9.10 Read More Since then I’ve switched the computer on my desk to Windows, and I cannot for the life of me figure out a way to achieve the same thing. Maybe you commenters can help me out, but every configuration I’ve used to share my wireless Internet connection via Ethernet in Windows resulted in my wireless not working anymore. So I’m going to go ahead and say this is easier to do in Ubuntu, half because it’s true and half because I think this will cause one of you guys to recommend a Windows method that works for me. In many ways, Ubuntu is easier to use than Windows. Does this mean Ubuntu is superior to Windows? Of course not, and I wouldn’t suggest so. You should use whatever operating system works best for you. All I wanted to do was challenge the conception that Windows is easier to use in every aspect. Ubuntu has become easier to use every year, and I think even inspired a few of the changes in Windows 7 (I’d love to see a Windows 7 ad in which a Linux developer claims Windows 7 was his idea, because unlike the people in those silly advertisements the Linux developer would probably be right.) This isn’t a bad thing: competition makes everything better. Whenever new improvements are introduced to the operating system market, eventually everyone wins. Please also note that most of the things described here are true of other Linux distributions as well, and the only reason I left these distributions out is that saying “before you install Linux you must choose from the thousands of distributions out there” hardly helps the argument that Linux is easy to use. For the vast majority of new Linux users Ubuntu is an excellent starting point, and that’s why I’m highlighting it here. What do you guys think? Do these things sound easier to do on Ubuntu than Windows to you? Can you think of anything else easier in one operating system than another? We have a comments section, so comment! Thanks it was very useful. .. Sharing your wireless connection in Windows 7 is also easy. I do it all of the time. Head to the Network and Sharing center and choose "Change adapter settings" in the sidebar on the left. Right click on the adapter connected to your wireless connection and choose "Properties". Select the sharing tab, check "Allow other network users to connect through this computer's internet connection," then select "Local Area Connection" in the drop down menu under it, and click OK. Viola! Thanks for the tip! Hard to believe I wrote this article 5 years ago and you're the first person to point it out, but I'm always happy to see the recorded updated. Try installing Oracle 12c or any other advanced piece of development kit on Windows 7 and then try Ubuntu. Windows is so much easier and quicker. Ubuntu is amazing for the reasons mentioned above in this article, but they are still pretty simple reasons. Windows UI makes it all so much easier for the average user, instead of having to write command line instructions on Linux. Google Cloud SDK...open command line...copy paste...run. Android SDK...download...find the friggin file...wait while your downloads folder is indexed...double click...hurry up and wait...YES already...NO, its NOT a virus...install...restart...wait on Windows...dig through the glorious new Stop menu...and NOW you can start your app. And yes, you can uninstall the Terminal app and use your system normally on Linux. Try doing that on a Mac. If you can use Google and copy/paste, you can install Oracle 12c on Ubuntu. Average users who like fluff don't care about salable enterprise database apps. The things they use (like Google Chrome, Thunderbird, LibreOffice) work flawlessly and fast...a concept that is totally foreign to Microsoft. Care to talk about updates? There's a reason I call Linux "The most advanced operating system on the planet. Period." Don't know if you got the windows "share connection" thing to work, but it is really easy if you have two ethernet adapters. Connect one to ISP device and the other to a wireless router. Then you "bridge" the two connections. Result? Private wireless network with internal IP addresses from your pc. Another reason Ubuntu is better is the lack of virus hazards on the net vs. Microsoft systems. Hi, I only use Linux in all my computers, and Wine is not that easy, with some simple programs yes. But try AutoCad, even Office is hard, unless you have CrossOver, and yes if you plan to use a lot of Windows apps, you may have to buy CrossOver office. >> "Ubuntu comes with a built-in program for downloading such proprietary drivers for your system. The first time your computer boots Ubuntu, it will inform you of any drivers you need, and install them for you with the click of a button." Are you sure of it?Can you tell a little more details about it. Cause, I am using Radeon 4670 but never heard anything like this! Yes. This is one of the features I love in gnome. However, the current implementation of gnome-shell doesn't incorporate this and so, it might become a thing of the past. Gnome-shell is not even in beta yet. So, let's hope good sense prevails! Also, two more things Ubuntu excels in... startup and shutdown times. I really love the concept just like linux however will it become mainstream? Very difficult for that to happen. I look forward to the demo though. I guess we'll see..
What's the point of life said the guy up there? There is no point he said! 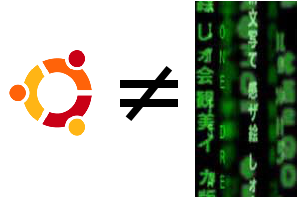 @lp: "ubuntu rules â€“ only prob for me is SOFTWARE FOR WINDOWS NOT COMPATIBLE!! come on you guys â€“ millions of users out here and increasing â€“ cater for us please"
I have to agree. I have to wonder why more of the big software companies are not making Linux-compatible software, especially in the games industry. I mean, cross-platform compilers are readily available. Seems to me they're just limiting their market. Ubuntu is more secure, fast and less buggy then windows..
about sharing connection in winblows. i was forced to do that once due to not enough ethernet slots in my router :D. never tried it on win7 though but the process should be more or less similar. you have a wireless connection to your modem/internet. all you have to do is go to Network and Sharing Center, right click on wireless, properties, then sharing and check the box that you want to share connection. also select the network you want to share it with (in my case Local Area Connection). Thats it. Linux taught me about back-up, the hard way. I lost close to all my personal files when attempting to move my folder (don't ask why >.<) in a Linux distro. That said, I do still love Linux and find it way easier than Windows and I love customisation, however I fall into the camp of "have to use windows" as I rely on Adobe products, well that and I do love me some games. Oh btw Hari, just as a fine point. I don't reinstall Windows every 6 months because I have to. I do so as a safeguard... prefering to reinstall it before it causes major hard drive corruption. My experience is the longer I wait to clean it out, the greater the chance of it destroying significant amounts of data. So every 6 months I religiously reinstall Windows, the same way that people change oil in the car before damage is done to the engine. I know there are individuals who say that's not necessary. That's fine, I respect their opinion. But I also respect the reality that every hour of the day, 24/7/365, someone screams in anguish because Windows either was directly responsible for or allowed their system to be totally trashed. Those people seem largely unaware that is not actually supposed to happen. You're wrong in your statement "Most of the very best free software is open source". The generalized concept about free software is given by GNU project (http://www.gnu.org/philosophy/... so every free software is open source software too (freedom 1) and not vice versa (some open source software contains pieces of close source software, the most known is: Linux kernel). The correct term must be free ware software. @yoander, I don't think Linux kernel contains any closes source. This is definitely true with several open source linux distributions (as they include closed source drivers and codecs). Perhaps, Java is another example for containing closed source code. I do agree on the use of the term "free software", it is best known for its definition from GNU. You're wrong in your statement "Most of the very best free software is open source". The generalized concept about free software is given by GNU project (http://www.gnu.org/philosophy/free-sw.html), so every free software is open source software too (freedom 1) and not vice versa (some open source software contains pieces of close source software, the most known is: Linux kernel). The correct term must be free ware software. 1) No need to reboot system after small updates. 3) No need to defegrement drive/partition. @Justin & Hari: Valid points, both of you. Yes Justin, I do back up my data on a regular basis. I have at this time 4 hard drives on my computer, two of them external. In addition to that, I have a removable terrabyte drive and three 250 gigs used solely for "insurance" backup of data in case of catastrophic failure. So yes, that end is covered. What I find valuable is the suggestion to to a full install including all programs, updates, SP updates etc, then mirroring that to an archive to make re-installation of Windows much easier and faster. That is actually an excellent suggestion. That will turn my restore time from 2 days to an overnight automated restore-- greatly preferable without a doubt. That insight is appreciated. Sometimes we get so close to a problem and get so used to doing something a specific way...we need that third party viewpoint to say "hey, how about this obvious solution?" LOL. Thanks. Appreciated. - Create a slip-streamed windows install to include latest service packs (such as sp3) and patches. - Tools like "Driver Magician" that create a backup of current drivers and reinstall all later with a single click. - Create a d:\ partition to move profiles directory (such as "c:\Documents and Settings") to this partition. This along with a tool to backup user registry will get you quickly started back with data. You can even image c:\ drive and quickly restore it at a later time (using Clonezilla or other myriad free imaging softwares). If you schedule the backup of c:\ drive image to happen frequently, you may not have to do much after restoring the image. You should also backup d:\ drive independently to keep a backup of user data. - Look for portable versions of programs (if they exist) and install them on d: drive. This avoids a reinstall step for at least some programs. - Sandboxie to secure your browser and other programs. This catches most changes done by programs to the OS and isolates them to a virtual directory and registry. Also move c:\Sandbox to d:\Sandbox (search how a guide on how to do this). - Altris SVS (only Windows XP) for installing programs into a sandbox. Works similar to Sandboxie, but better for sandboxing installs. You can eveb export each installed program as a self-contained archive of virtual file-system and registry. Altris can load this archive at alater time and map it on top of the physical file-system and registry. Also consider installing a linux distro to run in a VM (e.g., using the free virutalbox) or better yet using CoLinux (for best performance). Use linux version of a program when it is available (e.g., firefox) and use windows only when there is no linux version of a program. This is in a way much better than using wine on linux host (especially when using CoLinux). @Yonah: It is a mistake to make broad, generalized statements and tell people they're either doing something wrong, or ignorant, or inexperienced... based solely on your personal experience. Not only is it limiting your field of evidence to a very, very limited sample, it is also narrowing your realm of possibilities. I'm a professional consultant with almost 3 decades of experience, so I assure you I'm neither ignorant nor inexperienced. My guess is that your personal experience is not that of a "power user" nor an "experimental user" who constantly tries new things and new situations Or alternately-- you're a Micro$oft employee defending Windows. ;). It is true that if one uses Windows and never really challenges the system, if that person uses limited applications and just does the same thing over and over again, Windows will hold up forever. But if you surf the net regularly, if you add new programs on a regular basis, if you add and remove programs, add codecs, try new things... Windows can EASILY and OFTEN become "corrupted". You state that is not a problem of Windows. I state it is; if Windows was as good as it should be after all this time, it would have proficient guards against such corruption. At one time, I knew absolutely everything that was going on with a Computer. Those were the days of DOS. When Windows appeared, the system did all kinds of things in the background that even expert users have no idea what it's doing. Automatic updates are done without a user's knowledge. Even the best of anti-virus programs don't properly protect Windows against attacks. So when someone tells me he never, ever has to re-install Windows... I have to believe he's either deluded, lying, or I seriously have to question WHY. Because every person I've ever spoken to who uses Windows... including experienced techs... admit they have to reinstall Windows every once in a while. If you don't have that experience... more power to you. But I'd say you are the exception rather than the rule... and I'd also wager you don't much challenge your Windows system all that often. I'd highly recommend keeping your data backed up on an external hard drive so you can use mirroring, or adding a second drive for the same purpose. Dragging your data back to your disk is much faster than getting your system set up from scratch, and life's too short to re-install Windows every six months. I am a user of Windows XP at work. At home it's Linux, and Apple OS X (on my wife's computer). Recently after a hardrive crash, I had to reinstall Windows XP on my Dell Latitude X1. Starting with SP2 (provided with the machine years ago! ), you go for all the new driver from Dell. Fine. Then you install SP3, but it is just the beginning. I cannot remember how many Windows "mini" updates and security updates you have to go through. It is a real jungle. I have used LinuxMint since 2008, and have been updating with every new release. It's fun and so easy to do. I really appreciate your comments, Wayfinder. Allow me to, in return, make your life a little easier. Instead of reinstalling Windows from scratch every 6 months, why not clone your hard drive with Clonezilla? If your worried about your system being clean, simply do so immediately after you reinstall and get all your settings to your liking. This will save a lot of time: all you'll need to do is install all updates since the time the image was made. Oh a quick follow-up if I may: I'm a "forced to use Windows" user. There are several expensive Windows-proprietary packages I have to use, so for me, it's no option. However, that's on my main system. I own four other computers, and installing Linux on those makes a lot more sense that paying Micro$$$oft $200 a pop for each computer. @Beast: I echo your thought. Over the years I have developed a habit of totally re-installing Windows at least every 6 month, both to keep it "clean" and to eliminate problems the OS has developed within itself. It's a sad fact of life that Windows simply tends to self-destruct the longer it runs. Since re-installation of the OS requires also reinstalling every program I use, program settings, etc etc etc, this is a process that can take up to 2 full days. That is inexcusably ridiculous. And why? Because Micro$oft is so blatantly paranoid I can't make a simple backup of my system, including the Windows install files. In short, Windows, while powerful, is painfully cumbersome, customer-abusive, and expen$ive. Linux on the other hand? Piece of cake comparatively. I'm not yet totally sold on the Linux platform, but I certainly see many advantages over both Windows and Apple. Since I don't like Micro$oft's excessively high OS charges, and don't like Apple's excessively high equipment charges, and don't appreciate either company telling me how I have to operate MY computer... Linux is sounding a lot better all the time. Sorry, man. If you have to reinstall the OS every six months you are doing something wrong. Saying that Windows slows down over time or somehow becomes corrupted is simply not true. I've never had that problem with any of my systems. Perhaps in part because I know precisely what software is running at boot and I keep them clean. If what you say is true, then there would be no way for me to keep my machines running fast. I will concede that Microsoft should find ways to make it easier for users to understand what programs are running in the background. The real problem is the users who will blame whatever problems they have on Microsoft simply because it's easier. I've even heard people blame Windows when the problem ends up being a bad stick of RAM. People will do anything to avoid looking ignorant. I'm new to Linux. The point you made about "choose from the thousands of distros out there" is both insightful and right on the money. Thankfully for me, I had some very friendly and helpful people on a forum point me to a couple of websites that helped me pick a distro. Yet that is becoming even easier these days... as more and more I hear Linux users say, "Start with Ubuntu. You can't go wrong with Ubuntu." I am sure there are several key distros out there that are just as good, each with its own pros and cons. I'm sure Ubuntu has its own set of issues that people don't like. But at least with Ubuntu, brand new users have a starting line that is widely available at little or no cost. That is something the Linux community has needed for quite some time, namely: a more unified front to present to the public. An army divided within itself cannot stand. Presenting at least one Linux distro to the public as "heres a good one to start with" can only help Linux grow as a whole. à¤®à¥ˆà¤‚ à¤‡à¤¸ à¤¸à¥‚à¤šà¥€ à¤®à¥‡à¤‚ à¤à¤• à¤ªà¥à¤°à¤µà¤¿à¤·à¥à¤Ÿà¤¿ à¤œà¥‹à¤¡à¤¼à¤¨à¤¾ à¤šà¤¾à¤¹à¥‚à¤‚à¤—à¤¾ - à¤²à¥ˆà¤‚à¤—à¥à¤µà¥‡à¤œ à¤•à¤®à¥à¤ªà¥à¤¯à¥‚à¤Ÿà¤¿à¤‚à¤— à¤•à¥‡ à¤®à¤¾à¤®à¤²à¥‡ à¤®à¥‡à¤‚ à¤†à¤ª à¤²à¤¿à¤¨à¤•à¥à¤¸ à¤®à¥‡à¤‚ 80 à¤¸à¥‡ à¤…à¤§à¤¿à¤• à¤­à¤¾à¤·à¤¾à¤“à¤‚ à¤•à¥‡ à¤µà¤¾à¤¤à¤¾à¤µà¤°à¤£ à¤®à¥‡à¤‚ à¤•à¤¾à¤® à¤•à¤° à¤¸à¤•à¤¤à¥‡ à¤¹à¥ˆà¤‚. à¤µà¤¿à¤‚à¤¡à¥‹à¤œ à¤®à¥‡à¤‚ à¤…à¤­à¥€ à¤®à¤¾à¤®à¤²à¤¾ 40 à¤­à¤¾à¤·à¤¾ à¤¤à¤• à¤²à¥‡ à¤¦à¥‡ à¤•à¤° à¤ªà¤¹à¥à¤à¤šà¤¾ à¤¹à¥ˆ! I have another plus for Ubuntu. I had an IBM Lenovo laptop with windows XP installed on it. I installed Ubuntu as a back up operating system in case / when Windows failed. the first thing that came up after installing Ubuntu was a recall on my laptop battery. sure enough after a quick verification there is in fact a recall on it. I highly doubt you'll ever see that feature in a windows platform. I've also reinstalled Windows XP countless times as part of work, and I have to say that it is a quite painful procedure. I haven't had to install Vista but the application installing section is true to every part. I've been using Fedora since version 9 and I have to say that despite some rare problems occurring after an update it has been stable all the way. And if you take in account that Fedora is considered a bleeding edge distro then imagine how much easier a desktop user oriented distro is. Also Windows never comes with the applications you'll need, unless they are preinstalled. Linux always comes with an office suite, and also doesn't need any antivirus/spyware scanner. And it also doesn't need for the user to type in a password when they need to copy a file unless its on a restricted directory, in which case it's restricted for a reason. Through my experience in all these years I learned that I don't need to reinstall the entire Linux OS to fix a problem, unlike windows which becomes unusable due to all the waste that gets gathered. For me the biggest plus for Linux over any Windows is the ability to migrate between different systems without a reinstall. I pull the root disk from one machine and move it into another. The only issue I can expect is when migrating from an x64 to an x32 system when the old system install was 64-bit. 32-bit installs should work fine, however. I've performed this migration myself about 4 times between AMD, Intel procs and with very different disk controllers. I have another plus for ubuntu. i had an ibm leveno laptop with windows xp installed on it. i installed ubuntu as a backup operating system in case / when windows failed. The first thing that came up after installing ubuntu was a recall on my laptop battery. Sure enough after a quick verification there is in fact a recall on it. I highly doubt you'll ever see that feature in a windows platform. I've installed a few Windows XP (never tried Windos 7, though) and a fair amount of Linux distributions, and I must say, overall, Linux is simpler and easier to install and to configure than Windows. One thing people tend to forget when they talk about the difficulty of installing Linux: when they buy a computer it is generally loaded with Windows, installed and ready to go; they may have to download or install from discs a few programs, but the machine is basically ready for the average user; which gives the wrong impression that Windows is "easier" than Linux. In fact, the majotiry of users would be lost for a while trying to install Windows and figuring out the different programs and drivers and such to look for, whereas with Linux, the user is, we might want to say, taken by the hand and gently lead through the whole process of installing the system, of adding the programs and of customizing the whole set-up. Is Ubuntu superior to Windows? Or any other Linux distribution for that matter? As far as I'm concerned, yes: installs easier, offers a huge repository of safe programs, most of them as good if not of a better quality than similar Windows programs, and can be customize to one's heart content. All this without even mentioning the ever helpful Linux community on forums, blogs, etc. By the way, starting with Ubuntu 10.04, the Gimp will be dropped from the standard installation, the rationales being, among others, that it's too complex for the normal user (like me!) and that it takes too much room on the installation disc. No big deal, since the Gimp is in the repositories. You want it? Software Center, click, zoum, plop, you got it! However, some drivers are much more difficult to install under Linux/Ubuntu than under Windows. For example, if your audio card/chipset isn't automatically detected, then you work through the Ubuntu Sound Trouble Shooting Guide https://help.ubuntu.com/commun... and learn how much more complex it is than "insert driver disk, install, reboot." However, some drivers are much more difficult to install under Linux/Ubuntu than under Windows. For example, if your audio card/chipset isn't automatically detected, then you work through the Ubuntu Sound Trouble Shooting Guide https://help.ubuntu.com/community/SoundTroubleshooting and learn how much more complex it is than "insert driver disk, install, reboot." Good point, but I think the Windows driver process can come upon complications as well. I repair Windows computers professionally and I've run into my fair share of driver nightmares on that platform, so to me this one's a draw at best. I like having to reinstall drivers after a kernel update. Yes, it can be troublesome to install undetected or unsupported hardware in Linux, but perhaps you should compare that to how easy it is to how easy it is to install hardware that is not supported in windows. In my experience that is seldom even possible. Very good and valid points raised about habits. In my experience most computer users are very lazy, once they learn an OSes way of doing things, learning new ways of working is a steep hill to climb. I find that people who use 2 OSes such as Mac/Windows users take to different OSes much easier and with much less grumblings. There are many more reasons when it comes to the perspective of a developer (e.g., LD_LIBRARY_PATH makes it easy to install multiple versions of the same or conflicting software into different roots). Automation/scripting is also a lot easier since most programs have command-line interface and work without GUI. All above good points. But please don't miss that fact that with Ubuntu when the VLC program gets updated "Sally" will be notified and offered an update. On windows after hunting for a check for latest version Sally might find the update. In Windows, when Sally decides to play a new movie or episode she just downloaded in VLC and an update is available, she will be prompted immediately. She does not need to chase after the check for updates option, unless she wants to. This comparison is basically biased, and it based on one users point of view. 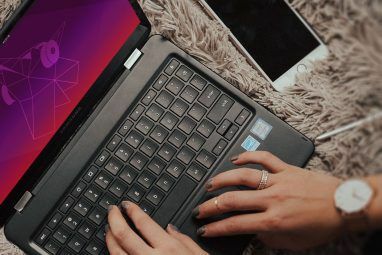 Both Ubuntu and Windows are fairly easy to use, and one thing that Sally has to do less frequently is re-type her password when she just needs to copy a file or install a programme. In Vista she has to grant the application permission (without typing a password) and in Win 7 the process is even smarter and she will only be prompted by the UAC when the action is really important. This is apples and oranges people, no need in comparing them, they both taste good, depending on which you choose to take in first. Though Ubuntu can compare to Windows, in the case, it also has many benefit than, but lots of people are living up to Windows. Habit is not easy to change soon. In my case, Ubuntu is not a major OS, but will be a better choice soon since I am looking forward to seeing 10.4 version, a LTS OS! Don't forget file sharing via bluetooth. Really simple in GNOME (never tried it with KDE) - a pain in Windows. Faster - yes. Less typing - yes. Better - yes. Easier - not in my opinion. I have bookmarked and will refer a few friends to this article. Well done!.....about the bridging connections: I was able to share my wireless through my Windows XP laptop with my Ubuntu Server...damn that was a pain! Don't ask how I did it because I couldn't tell ya. In Vista, to share your wireless internet with another computer or other device with an ethernet cable, you would go to your network and sharing center, select "manage network connections" on the left-hand side, then select both your wireless and ethernet port. Right click one of them and select bridge connection. From that point out, your ethernet port should act as an extension of your network. I like Ubuntu a lot and it seems to get better every time I look at it. But still, I stick with Windows for some of the Windows-only software I like (I don't wanna mess around with WINE). Hi, I only use Linux in all my computers, and Wine is not that easy, with some simple programs yes.But try AutoCad, even Office is hard, unless you have CrossOver, and yes if you plan to use a lot of Windows apps, you may have to buy CrossOver office. You can share the wireless connection to other wired ethernet devices by bridging the 2 adapters. While I have had success with this in XP I have had nothing but trouble with Win 7. To be fair I have not played much with getting it working. I love ubuntu however, and use it regularly. In fact thats all I let my kids (7 & 3) use. Installing can actually be even easier just sudo apt-get install vlc. Granted then you need to use the terminal which scares people but it is a lot faster if you get used to it. I always use the terminal to install stuff, but I knew if I mentioned the terminal in a "Ubuntu is easy" article I'd be ridiculed by Mac types. Ubuntu is easier to afford also. I totally agree with you, and now with 10.04 and the iphone. Ubuntu is just getting better and better. Head to ubuntuandstuff.weebly.com to read more.